Together with our local Agent ACIS, we will be at ARAB PLAST, premiere international trade expo for plastic, petrochemical and rubber in the middle east. Our President Giovanni Bisio, will be at our Stand D110 to present our packaging ad hoc solutions for the count and wrap stacked or non-stacked plastic products. We can offer customized packaging machines, in accordance to customers needs, that can be integrated to a pre-existent thermoforming machinery in order to manage the packaging of every type of plastic products: cups, lids, trays disposable cutlery and much more. We will wait for you at our stand! Fastener Fairs France, dedicated entirely to fasteners and fixings, starts today in Paris. "Fastener Fair France is the latest addition to the world’s leading series of trade shows specialising in fastener and fixing technologies" and here at Imanpack Packaging, we decided to be part of this event to present our showcase of innovative packaging solutions for fastener technology. Visit us at Stand 640. You will be able to see our MICROVERT PRO + MCWS9 packaging machines in function. See you there! All4pack Paris has opened its doors to visitors. The times of the event are as follows: - WHEN: FROM MONDAY 26 TO THURSDAY 29 NOVEMBER 2018 Monday 26 - Tuesday 27 - Wednesday 28 - Thursday 29 from 9.30 a.m. to 18.00 p.m. - WHERE: At the Paris Nord Villepinte Exhibition District IMANPACK exhibits at booth no. 6N110 - THE PRODUCTS AT THE STAND: MICROVERT PRO + CMF5 MICROPACK PRO MOONLIGHT PBB CELL MTRF 2000 + MCWS9 We are waiting for you at our stand, to show you our packaging machines in function! With our local agent AWI Maskin AB, we are exhibiting at the SCANPACK fair in Gothenburg, Sweden. We are pleased to welcome you at our booth No. B01: 01 to show you our packaging machines in function. We are waiting for you! We will participate together with our Distributor AWI Maskin AB at Stand Nr. B01:01, presenting our packaging machines in function: MICROVERT PRO + CMF5 MICROPACK PRO See you there! MSV in Brno is a usual appointment for us at Imanpack Packaging. This year we will be there presenting - A MICROPAC BAGMATIC - A vertical machine MICROVERT PRO200P with 1 COUNTING MODULE. We will be at PAD. A2 - STAND 042 Come to visit us ad our Technical engineers will give us all support in finding the best solution that fit your needs. Video Interview with Giovanni Bisio from Ipack Ima show in Milan. We are at Ipack Ima 2018 in Milan: Pav. 5 - Stand D06 You will be able to visit us until 1st of June. We are presenting a series of packaging machines in function and this should be a marvellous opportunity to test and verify all characteristics of our packaging solutions Below is a small video spot of our stand. Our sales engineers are at your disposal for any type of clarifications you require and to make possible free quotations. See you there! RosUpack: 23-rd International Exhibition for the Packaging Industry from 26 to 29 June 2018 • Russia, Moscow, Crocus Expo RosUpack is the largest exhibition for the packaging industry in Russia and Eastern Europe We will attend RosUpack show in Moscow together with our local Agent BRISTOL Group. You can visit us at PAV.3 HALL 15 STAND B205 We present a packaging machine in function: A Microvert Pro 200 poly Two Counting Modules CMF5 See you there! We are pleased to let you know that we are now accepting payments by Credit Card via PayPal for SPS - Spare Parts Service, the Imanpack online area for spare parts purchasing. Simply register or log in to your Account with your Customer code and you will access the complete list of spare parts for your machine; make your order and just click on the PayPal button in the cart, or select it as a payment option when checking out. Enjoy! We wish you a HAPPY EASTER! May your day be filled with fun and joy and lots of delicious chocolate. Imanpack Packaging decided to donate 250 boxes used in the last edition of the MSV Fair held in Brno, at the Kindergarten for a project related to Christmas. Every child used his own box to keep a special gift for a friend. Each box has been decorated and hung on the Christmas tree of the Brno Kindergarten. Small "things to make children happy and let them educate to altruism. "The Brno children thank a lot Imanpack Packaging!" Imanpack Packaging Staff wishes our Customer, Partners and all the others HAPPY HOLIDAYS! We wish you that this New Year brings you Happiness, Peace and Satisfaction. If you need support during Holiday Season's you can call us at +39 0445 578811 or send a mail to this link: CONTACT US See you in 2018 with lots News! Yesterday was the last day of EUROPACK EUROMANUT 2017. EUROPACK EUROMANUT CFIA brings together all professionals from the process, packaging, and handling sectors and, as usual, we presented our packaging machine in function at the stand. Lots visitors were able to verify the efficiency of our packaging machine -in function- directly at our stand: SERVOFLEX PRO, MICROPAC PRO, MICROVERT PRO with 2 COUNTING MODULES, MTRF2000 with a MCWS9. Now we will take care of all requests received, and we continue our efforts to satisfy our clients! See you at the next show! Do you Know our SPS - Online Spare Parts Service? SPS Online Spare Parts Service, is an internet protected area from where you can buy online recommended spare parts. There are lots advantages for the users: • Online access to a customized spare parts platform. • Optimized order procedure. • List of recommended spare parts for your machine. • A wide range of spare parts available on stock. • List of previous spare parts orders. • PDF handbooks, upon request. Simply Login with your "Customer Code" and you will have access to the complete spare parts list of your Packaging machine. Once the order is placed our staff will take it in charge and you will receive the products at the provided address. ### This is the Link of the post published in English at our LINKEDIN Imanpack Page ### Spare Parts Service is a on-line shopping area dedicated to Imanpack's spare parts where you can find all spare parts suggested for your machines. Together with BRISTOL GROUP, our official Distributor in Moscow, we are exhibiting at ROSUPACK fair our flow-wrapper Micropac VRP3 with Cupcounter. Come to visit us PAD.1 - HALL 1 - STAND A313 Below some pictures of our stand. Imanpack observes statutory holidays in Italy and most of the service and technical support are guaranteed throughout the holiday season. However we remind our customers that they can order spare parts, using SPS Spare Parts Service, the online platform for buying reccommended spare parts. This is the link for the SPS LOGIN Spare Parts Service is a on-line shopping area dedicated to Imanpack's spare parts where our customers can find all spare parts suggested for their machines. Best wishes for a happy new year filled with health, happiness, and spectacular success from all of us at Imanpack Packaging & Eco Solutions! all4pack/Salon Emballage 2016 is underway at North Paris-Villepinte Exposition Park. Imanpack, with a large group of its machines, will be present at this important fair until November 17th. Visitors will have the opportunity to see our machines working, including our brand new Micropac PRO for the very first time: Microvert PRO 300 Vertical packaging machine + MCWS9 Counter/scale Micropac Bagmatic Flow-wrapper Micropac PRO Flow-wrapper Cibus 500 Flow-wrapperOur technical sales engineers are waiting for you at Hall 6 - Stand N109 to show you the capabilities and quality of our machines. Meet us in Paris! Discover Imanpack's solutions to wrap plastic bags in either flat or rolled up form. • Custom feeding systems, • flow-wrappers, • shrinking tunnels, • packing, pallettizing and downstream solutions. Watch the video! Contat us for further information. K 2016 opened in Düsseldorf last 19 of October and Imanpack presents the innovations of the packaging solutions for the plastics and rubber industry. Let visit the trade show and take the opportunity to visit us at our stand: IMANPACK STAND HALL 3 - STAND G49 Be part of K-Düsseldorf 2016 and discover our new packaging solutions for plastic industry at our stand! Imanpack has recently taken part at the PackEx fair in Mumbai, from 22 to 24 September. Along with our agent Pyloff Packaging we could get in touch with the Indian market, which has shown large interest in our machines and our innovative packaging solutions. The PackEx fair has turned out again as a leading event for packaging machinery and materials, in a constantly growing and attractive market. Imanpack offers a variety of solutions for every kind of accessory to be packed in bag or box, by piece, weight, number or in kit. Electric parts Pipe junction Door Handles Bearings etc... Watch a short clip of one of our systems to package door handle. Do not hesitate to contact us for further information or to ask for a quote. The third Fastener Fair Russia covers industrial fasteners and fixings, construction fixings, assembly and installation systems, fastener manufacturing technology as well as storage and logistics services. Imanpack will participate to show you a large range of hardware packaging solutions. Imanpack, is leader manufacturer of automatic packaging equipment. You will see our complete range of both horizontal and vertical wrappers, carton forming/filling equipment, high speed and accuracy electronic counters, robotic palletizers, a variety of material handling conveyors and downstream packaging solutions. We have a large range of Packaging solutions to weight and package nails and fasteners in different packaging, electrodes and bearings; we can form components and mounting kits or package hardware in cardboard boxes. WE HAVE WHAT YOU NEED. Let visit Imanpack Packaging: STAND №102 See You there! Our offer includes a complete range of systems for screws packaging and boxing: high speed counter/scales, vertical form-fill-seal machines, cartoning and boxing systems, final check weighers, downstreams packing and palletizing. Below, a video showing one of our screws packaging systems at work: MCWS 12 Multihead scale + cartoning and paletizing line. Contact us for for further info or to ask for a quotation. We are at your disposal to identify the best solution for your needs to maximize productivity and reduce costs! Imanpack France, our agency in France, will participate at the CFIA taking place in Rennes, from 10 to 12 March. CFIA is the most important event on agribusiness in France! Come visit us at our booth HALL 2 - STAND F16: our representative will show you our machine range and discuss with you the best packaging solution for your product See you in Rennes! EMBAX PRINT 2016 SHOW is in progress in Brno. We are there presenting a vertical form-fill-seal machine with counting modules. EMBAX PRINT 2016 Date: From wednesday 17 to friday 19 February 2016 Location: BVV Veletrhy Brno/BVVTrade Fairs Brno City: Brno Country: Czech Republic Stand: PAV. G1 - STAND 049 Look at the pictures of our stand where you can see the Microvert VFFS machine and the counting modules in function. A complete range of systems for screws packaging and boxing: high speed counter/scales, vertical form-fill-seal machines, cartoning and boxing systems, final check weighers, downstreams packing and palletizing. Contact us for a quotation! Una gamma completa di sistemi di confezionamento e inscatolamento per viteria: contapezzi/pesatrici ad alta velocità, confezionatrici verticali form-fill-seal, astucciatrici e apri e chiudi cartone, controllo peso e sistemi di alimentazione e pallettizzazione. Clicca sul video per vedere uno dei nostri sistemi in azione e CONTATTACI OGGI per maggiori informazioni o per richiedere un preventivo. Imanpack will participate to the thirteenth edition of SAUDI PLASTIC - Riyadh - UAE, that will take place January 18th to 21st, 2016. "This exhibition, held every two years, is the biggest event in the field of plastics and petrochemicals in Saudi Arabia and is an ideal opportunity for the exchange of information as well as new business opportunities and investments." You will find us at Hall 04 Stand 514. On that occasion, we will be glad to meet you and let you present all the news about our packaging machine range for plastic sector. See you there! The end of the year is traditionally a time for reflections: 2015 marked a very important goal for Imanpack, 40 years in packaging. Forty years of constant research in the development of solutions to suit a continuously evolving market. Forty years in which we have designed, manufactured and installed thousands of packaging solutions all over the world and established a network of over 50 agencies to cover sales and support in as many countries. Holiday Season: Imanpack will guarantee remote technical support and urgent spare parts supply during the holiday season. Conviviality moments to celebrate the end of this successful year. Happy Holidays from All of Us! Europack Euromanut CFIA 2015 is in progress at Lyon. It's a good opportunity to have more information about food packaging and manufacturing. Imanpack Packaging, together with Imanpack France can be found at Stand 6-G48-H47 where we are presenting some of our packaging machine in function: - Microvert Pro with one counting module - Servoflex PBA - Moonlight PBA Our Sales Engineers are available to discuss with you the best solution that suits your needs. Giovanni Bisio, CEO of Imanpack Packaging and Eco Solutions S.p.A., presents his company at BI-MU Milano, one of the major trade fairs dedicated to tooling machines, production systems, robots, automation and auxiliary technologies. At FAKUMA show in Germany, we are presenting MOONLIGHT. TecnoPlast online magazine, wrote an article about this: Moonlight at Fakuma: the ideal solution to wrap plastic and cups dishes tray This is the link from where you can read the article in English. FAKUMA international trade fair for plastics processing, has become a prominent meeting place for the industry. It holds second place in the overall ranking of international trade fairs for plastics. If you want to receive more information about customized packaging solutions for any kind of plastic prodicts, don't lose the opportunity to meet our sales engineers. Come and visit us at PAVILLON B 5, STAND 5117, where we are presenting a flow-pack machine in function with manual feeding for lids and cups: Moonlight flow-pack See you there! Below some pictures of our stand at EMO 2015, in Milan. We are presenting a series of packaging machines in function. Come and visit us at booth B19 (Pav. 9), where you will experience the potential of our packaging machines. The show will be open till next Saturday 10th of October. Pav. 9 - Stand B19. We are currently in Milan at Ipack Ima 2015, showcasing our packaging machine in function. Come visit us at our Stand: Pav. 7 - Stand A 12 The show will end next 23rd May. See you there! The celebration of the Company's 40th Anniversary is a very important moment that requires to be celebrated together with all employees. Since 1975 Imanpack Packaging & Eco Solutions Spa, has been designing and producing automatic packaging systems. Such success makes us particularly proud and is worth sharing with all our employees that every day are committed to offer our customers advanced product and very good service. Also thanks to these people that the Company is well known in Italy and abroad: 3.300 packaging lines sold in 86 countries all over the world. The cake cutting become an opportunity to think about corporate history, but surely a spur to draw the future of this company that are investing a lot on human resources and technology, taking up challenges of an ever competitive marketplace. We belive in it! If you want to find solutions to count and package any kind of PLASTIC products, our Sales Engineers are available at our stand at NPE SHOW, to present you how we find the right solution for our customers! We are engineer problem solvers and through our big portfolio of product and services plus our experience, we keep constantly finding customized ways of solving problems. Our Booth is the following: Booth S36047 (South Hall) We look forward to Orlando! Imanpack decided to bring a big range of packaging machines in function at the next edition of IPACK-IMA in Milan, the most attractive global exhibitions for suppliers of technology and materials for processing and packaging. This show will be held in Milan, jointly with the Expo 2015, from 19 to 23 May. Imanpack for the occasion, will present the following machine in function: Servoflex Pba - Horizontal flow-wrapper machine + a loading Robot Microvert PRO - Form Fill Seal wrapper with nr. 2 Counting Modules CMF5 Micropac Bagmatic - Horizontal fow-pack machine Moonlight Pbb - Horizontal wrapperDon't miss this occasion. Come and visit us at our Booth: Pav. 7 - Stand A 12 Looking forward to see you in Milan! PLAST 2015 is one of the international exhibition for plastic and rubber industry. Don't miss the opportunity to watch the new LIDPACK machine in function, with feeding conveyors, at our booth. This new system was especially designed to package lids and other non-stackable products. BOOTH C 45 - HALL.15 See you there! At this international exhibition for plastic and rubber industries, PLAST 2015, Imanpack presents a LIDPACK machine, in function. "Lidpack was especially designed to pack stacks of plastic lids, small shallow containers, glass or plastic slides, seals and all kinds of unstable or unstackable products. "PLAST 2015, is scheduled, in Milan Italy, till next Saturday, 9th of May: come and visit us at PAVILLON 15, STAND C 45 to meet our experts and receive all information about our innovative packaging systems. Imanpack partecipated in the Fastener Technology Innovator Competition 2015, with Microvert PRO packaging machine. At this link you will find details or this New Machine: http://www.fastfixtechnology.com/news/new-microvert-pro-from-imanpack "This vertical form fill and seal machine is suitable to pack different types of food product, general fastener and hardware products." This certificate, confirms that Imanpack Packaging lead innovation-focused and develop increasingly dedicated and efficient packaging solutions. Imanpack will participate at NPE 2015, The International Plastics Showcase held County Convention Center in Orlando Florida USA. "The International Plastics Showcase", is the world's most important plastic trade show of the year. Imanpack decided to attend this important event, cycling just once every 3 years, to have the opportunity to present the large range of Imanpack custom solutions to count and package any kind of PLASTIC products! Imanpack designs and develops tailor-made solutions to integrate in the thermoforming plant to handle any kind of product, from production, to wrapping and packing: disposable plastic products in stacks, bulk or single packs. Come to visit us at our Booth: Booth S36047 (South Hall) Contact us to fix an appointment! Imanpack always takes care of customers: we will be closed for holidays during Xmas time from 24th of December till 6th January but we guarantee the service our customers deserve on 29th and 30th of December! HAPPY HOLIDAYS FROM US! JUMBO wrapper is the best solution to save money on packaging system making bundle packs out of film. You can replace the traditional carton box with bundle pack WATCH THE VIDEO! And don't forget that the final package is easily stackable on pallets! Contact us for a free quotation. This method is great for diapers but also for wet wipes and other products. The video shows a packaging line that includes: Vertical form-fill-seal machine mod. MICROVERT 2000 with special orienting magnet inside the forming channel combined with counter/scale mod. MCWS for oriented nails packaging in PE bags. Watch the video and fell free to contact us for more information. Imanpack will participate at 29.BI-MU, one of the most qualified international events dedicated to the Italian machine tools, robot, automation systems and ancillary products industry, taking place in Milan (Rho) from 30th September to 4th October 2014. For the occasion we will be showing the following machines: - Horizontal flowpack machine mod. Micropac Bagmatic with quick change over size and a Vertical Form-Fill-Seal machine mod. Microvert Pro with two CMF5 counting modules. See you at our stand: PAD. / HALL 11 STAND G44 See you in Milan! Pack Expo international is in progress and we are presenting the BAG-IN-BAG packaging system, in function. I'ts a very easy to use and compact machine for hotel suppliers: you can take a look at the enclosed pictures. For more information, pls contact us and take a look at the attached catalogue. It's a pleasure for us to inform you that the Video Interview of our Chairman Ing. Giovanni Bisio at our BIMU Stand will be broadcast: MONDOEXPO: From the most important Italian and international trade shows; The most renowned but also the small Italian companies with their style and their distintiveness that contribute to the "Made in Italy". Broadcasting: VIVA L’ITALIA CHANNEL sky 879 Channel Digital Terrestrial TV LIVE STREAMING WEB MONDOEXPO Special BIMU 2014: - IMANPACK PACKAGING & ECO SOLUTIONS Date of broadcasting: - Tuesday 11 November at 6.40 p.m. - Wednesday 12 November at 12.40 p.m. - Saturday 15 November at 9.40 p.m. The video will be uploaded on Imanpack YouTube Channel, after trasmission. Imanpack partecipates at EMBALLAGE 2014 in Paris from 17th till 20th of November. Visit us at our booth: Pad 5a C 152. For the occasion we are showing: SERVOFLEX Pba: our Horizonatl Form-Fill-Seal machine; MICROVERT PRO , Vertical Form-Fill-Seal machine combined with two counting modules mod. CMF5; MICROPAC BAGMATIC: Horizontal flowpack machine;We will see in Paris! Today is the opening day for "29 BI-MU 2014" with the most qualified range of machine tools, robot and automation systems where you can find us: Imanpack Packaging & Eco Solutions. We exhibit with an innovative stand in Hall 11 (Stand G44): you will see some automatic packaging working machines and you could ask for information directly to our Sales Team to find the best packaging solution for your needs. PAD. / HALL 11 STAND G44 See you there! The system was especially designed to count and pack electrodes in carton boxes at a speed of 10 pcks/min. Contat us for more information. High speed packaging line for wet wipes composed of double reel holder with: automatic reel change, camera controlled die cut, labeller and printer, Equalizer infeed conveyor, Starlight electronic flow-wrapper, twin-jaws sealing unit. CONTACT US TODAY FOR MORE INFO OR TO REQUEST A QUOTE! Gaia is the new subterranean ecological system that allows the differentiated collection of urban solid refuse in one single structure. This video shows clearly you how it works. There are many benefits in using a subterranean system. Gaia is the right solution that enables to be in accordance with the new European Regulations concerning differentiated collection of urban solid refuse that requires calculation rate on the effective waste production of every single user/family. For more information, let visit our GAIA website page Our Technical Engineers are at your disposal to discuss about this innovative solution and to arrange a quotation ad hoc. Contact us for more information! A complete line to wrap plastic bags in either flat or rolled up form: Custom feeding systems; Flow-wrappers; Vertical machine form-fill-seal; Shrinking tunnels; Packing, pallettizing and downstream solutions. Watch the video! Please contact us for further info! All social media icons are available on the upper navigation bar. LinkedIn is a social network used for professional networking e and this is the reason why we choose to create a page dedicate to Imanpack where we should present all news about packaging solutions. Imanpack Linkedin page is available at this link Connect with us to be updated! We will attend the "MSV- International Engineering Fair", the leading industrial trade fair in Central Europe to be held in Brno - Czech Republic, from 29th September to 03rd October 2014. Come and visit us at our booth: PAD A2 – Stand 034. Our sales Enginners will show you our product range and a Microvert Machine in function and will discuss with you the best solution for packaging your products. See you there! A production line that uses SERVOFLEX + Horizontal Cartoning machines that can package coffee capsules in bags and boxes: - Feeding system and bag packaging - Reel cardboard cutting system - Horizontal packaging mod. SERVOFLEX - Check weighter - Horizontal box cartooning machine Imanpack identify the best solution for you, fitting to any production needs. Contact us for a free quotation! We present you the video of the New Converpack machine, the innovative solution that combines single cross fold converting with three or four side seal flow wrapping. Converting and packaging combined together in a unique machine. Single Sachet with three or four side seal flow wrapping. If you want to view the machine in function, pls contact us to fix an appointment. You should verify the efficiency of this wet wipes packaging system. Imanpack is able to create a customised packaging solution by taking in consideration all requirements into account. We offer CUSTOM MADE solutions. If you are looking for innovative tailor-made solutions on the PLASTIC Industry, this video whould be very usefull for you. You will find custom systems to count and package disposable plastic products in stacks, bulk or single packs. Take a look and feel free to contact us to discuss your product's needs! Nowadays BRAZIL is a coveted destination for the World Cup and our machines are ready to leave for that destination. A Brazilian loyal customer confirmed his trust placed in Imanpack, by purchasing a complete new packaging system to assemble hinges, handles and bases: a complete production line is leaving for Brazil, by ship! From the pictures below, you can see the large amount of machines ready to go, properly packed by thermo sealed BARRIER BAG. The quality of our machines is still able to compete in a market like Brazil despite the high custom rates. Imanpack Quality & Service, always win! We came back from RosUpack, the Russian exhibition of label & packaging in Moscow that became the leading trade fair for all Russian operators. The actual Russian market demand in the packaging industry keeps on growing strongly and Imanpack solutions are just what this market needs. The presentation of our Servoflex Pba Servoflex Pba - Horizontal flow-wrapper machine at our booth was appreciated by lots of visitors and we are sure that it will put the base for a very strong relationship with this important market. See you at the next show: 29.BI-MU 2014 in Milan (Italy) that will be held from 30 September to 4 October 2014, in the fieramilano fairground. Imanpack, from 17th to 20th June 2014, will be presented at RosUpack 2014 - Moscow, 19th International Exhibition of the Packaging Industry. The exhibition confirmed its status as the largest packaging industry show in Russia, the CIS and Eastern Europe: an occasion to meet pagkaging manufacturers and suppliers from all over the world. Imanpack will be very pleased to host you and show you our innovative flowpack solutions (HFFS) at our booth: STAND C 203 PAD 1.3 We look forward to welcoming all of you: contact us for a meeting at the show! Imanpack will exhibit at the Interpack expo taking place in Duesseldorf, Germany from the 8th to the 11th of May 2014. Pay us a visit at Booth 8b-D93 to see our solutions in action! - The brand new CONVERPACK combining converting and 4-side-seal packaging in one flexible and high performing solution, reaching up to 600 sachets per minute; - VRP flow-wrapper with counting device to wrap plastic cups in stacks; - SERVOFLEX full axis controlled flow-wrapper; - MICROVERT 2000 vertical form-fill-seal machine + 2 counting modules ideal for hardware and small parts. See you in Duesseldorf! Imanpack will be exhibiting at the INDEX 2014 nonwovens expo in Geneva from the 8th to the 11th of April. Come visit us at our booth 2173 to discover the brand new CONVERPACK, converting and packaging line achieving single wipe 4 side seal pouches at a rate of 200 piece/min. Contact us today to receive the Visitor’s Code and get a free entrance to the expo. See you in Geneva! Imanpack will exhibit at WIRE 2014 taking place in Duesseldorf from the 7th till the 11th of April. We invite you to visit our Booth 15A42 - Hall15 to watch some of our weighing /counting and packaging systems in action, mod. MCWS3 and Microvert VFFS machine + CMF5. See you in Duesseldorf! 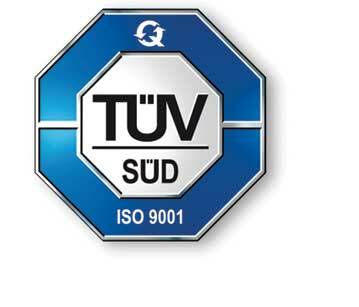 We are glad to announce that on 06.19.12 the TÜV testing board approved Imanpack's quality system and released the UNI EN ISO 9001 certification. A guarantee of quality in process and products that we are proud to offer our customers. Discover Imanpack's solutions to wrap plastic bags in either flat or rolled up form. Custom feeding systems, flow-wrappers, shrinking tunnels, packing, pallettizing and downstream solutions. Please contact us for further info!